Highlights: Diving, Snorkeling, Water sports, Table tennis, Island hopping, Fishing, Cruising, Excursions, Football, Volleyball, Sailing, Badminton, Tennis, Spa. 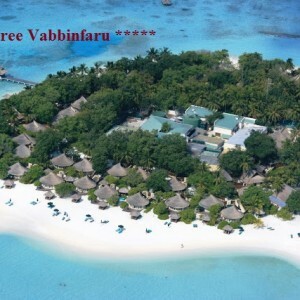 Duration: The minimum duration of the stay in Chaaya Reef Ellaidhoo is more than 3 nights during Christmas & New Year period. Accommodation & Room categories: This small and peaceful island is fringed with towering coconut palms, stretches of sandy beach and a rich house reef with underwater wonders. Altogether it is a dream destination for underwater enthusiasts. 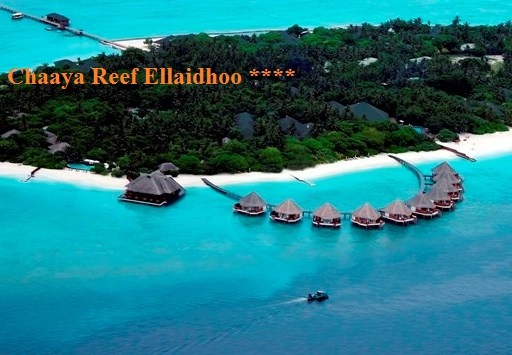 There are 112 rooms in Chaaya Reef Ellaidhoo resort.